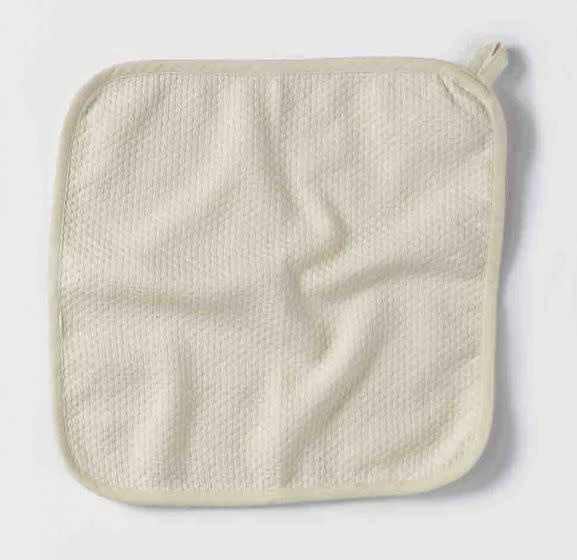 Mediterranean Wash Cloth, Set of 3 - Undyed - Springfield Mercantile Co.
Lightweight, fast-drying GOTS Certified organic cotton is textured with a high/low weave for excellent absorption that wraps baby in softness fresh from the bath. Each cloth includes a convenient loop, making it easy to hang to dry between uses. Set of 3 wash cloths come in same color. 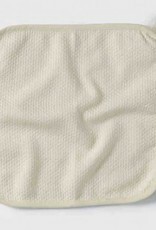 All of Coyuchi's cotton and linen products are machine washable. For whites and light colors: We recommend machine washing on the gentle or delicate cycle with warm water and non-phosphate soap. For dark colors: We recommend machine washing on gentle or delicate cycle with cold water and non-phosphate soap. Line dry, or tumble dry low and remove promptly. Use a warm iron on cotton, or a hot iron on linen, as needed. We do not recommend using whiteners as bleaching agents may diminish the brilliance and depth of the colors; when needed, use only non-chlorine bleach. Please refer to the product tag for more specific instructions.